TWG Was asked to create a custom Facebook page for Bj's Steakhouse. 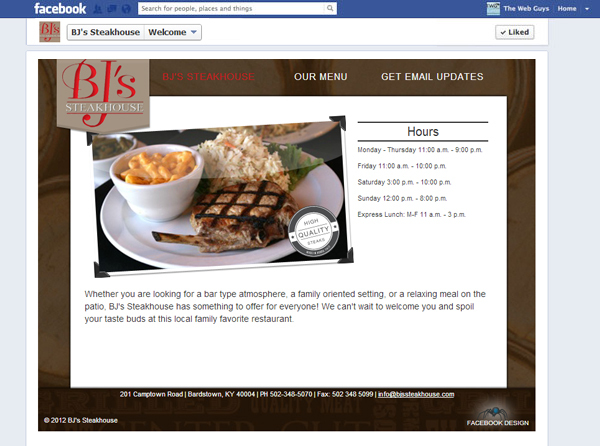 Check out the BJ's Steakhouse Facebook page. TWG Was asked to create a custom Facebook page for Women's Healthcare Partners. 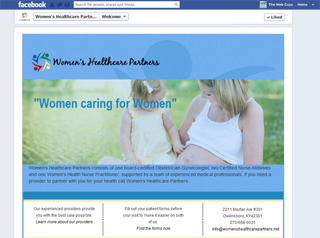 Check out the Women's Healthcare Partners Facebook page. 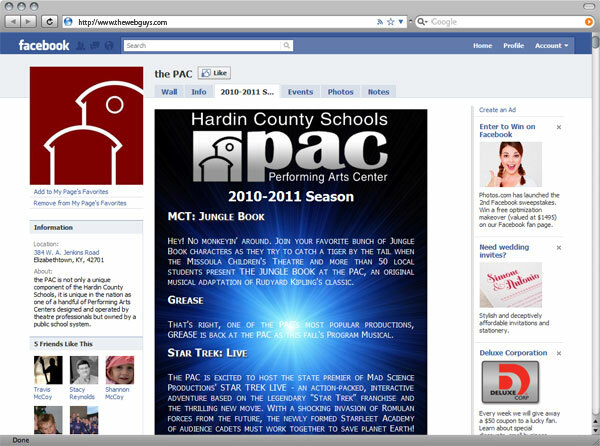 TWG was asked to create multiple custom facebook pages for The PAC. 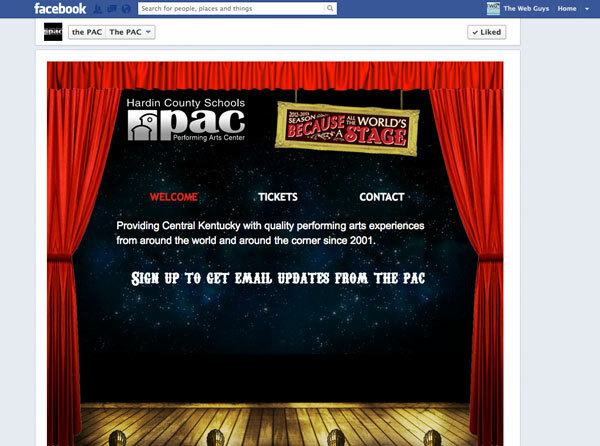 The pages include a custom welcome page, an tickets page, and a contact page. 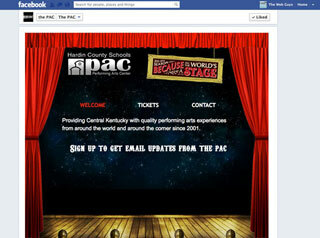 Check out the PAC's facebook page. 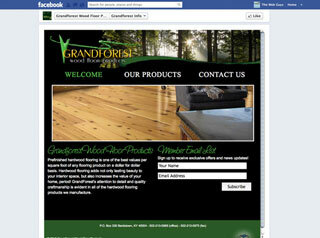 TWG was asked to create a custom facebook page for Grandforest. Check out the Grandforest Floor's facebook page. 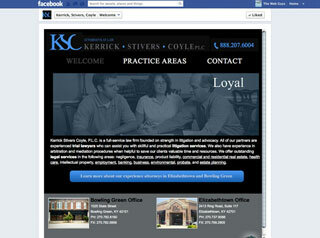 TWG was asked to create a custom facebook page for KSC Law Firm. 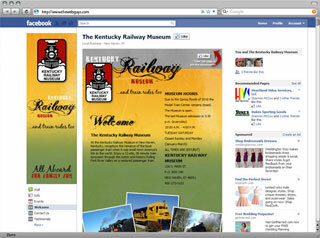 Check out the KSC's facebook page. 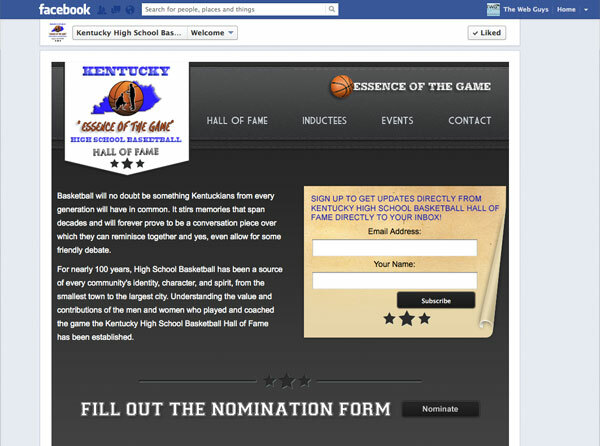 TWG was asked to create a custom facebook pages for KHSBHF. 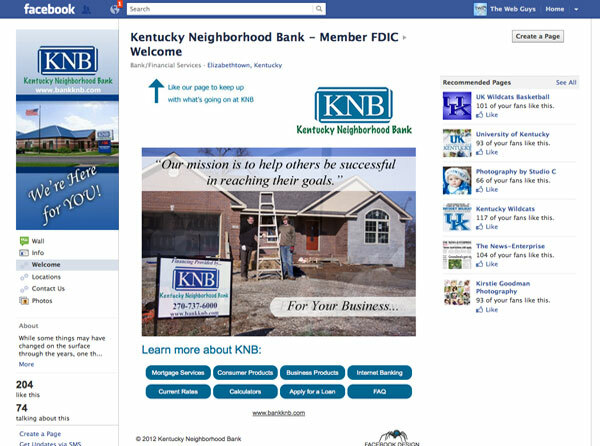 Check out the KHSBHF's facebook page. 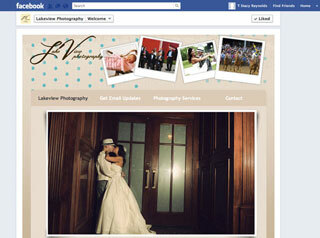 TWG was asked to create multiple custom facebook pages for Lakeview Photography. The pages include a custom welcome page, an email signup page, photography services page and a contact page. Check out the Lakeview's facebook page. TWG was asked to create multiple custom facebook pages for Green Dot Stratgey Bowling Green. The pages include a custom welcome page, an email signup page, and a contact page. 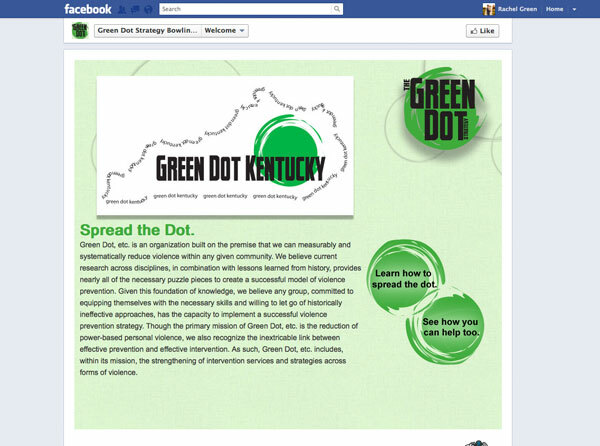 Check out the Green Dot's facebook page. TWG was asked to create multiple custom facebook pages for ATS to match the look of their site. The pages include a custom welcome page, vans, and a contact page. 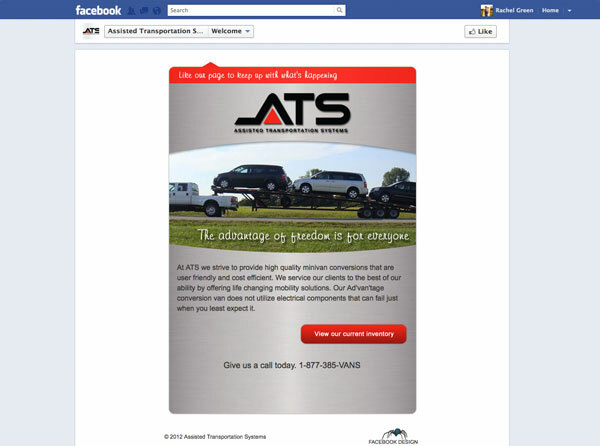 Check out the ATS facebook page. TWG was asked to create multiple custom facebook pages for Chick-fil-A of Veterans Parkway and Jefferson Mall. The pages include a custom welcome page, a menu page, an email signup page, reviews, and a contact page. 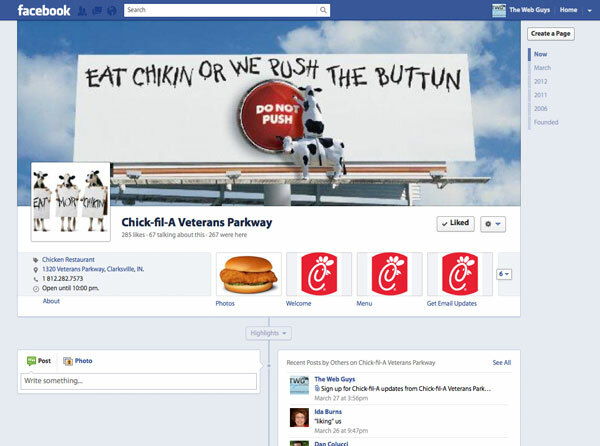 Check out CFA Veterans Parkeay facebook page and CFA Jefferson Mall Facebook page. 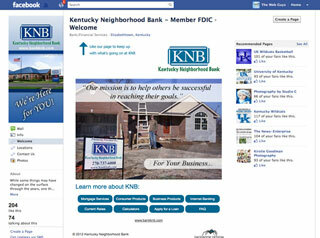 TWG was asked to create multiple custom facebook pages for Kentucky Neighborhood Bank. The pages include a custom welcome page, a locations page, and a contact page. Check out their facebook page. 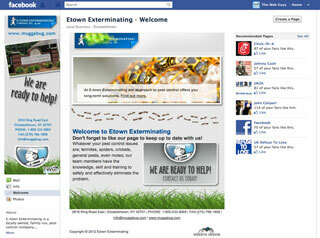 TWG was asked to create multiple custom facebook pages for Etown Exterminating to match the look of their site design. The pages include a custom welcome page. Check out their facebook page. 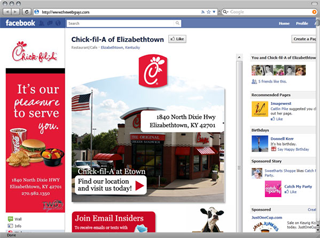 TWG was asked to create multiple custom facebook pages for Chick-fil-A at Etown. 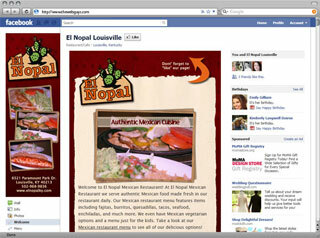 The pages include a custom welcome page, a menu page, email sign up, reviews, and a contact page. Check out their facebook page. 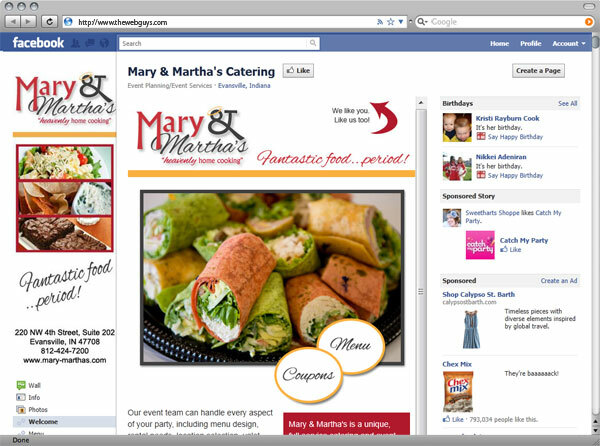 TWG was asked to create multiple custom facebook pages for Mary & Martha's Catering to match the look of their new site design. 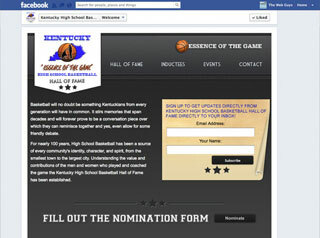 The pages include a custom welcome page, a menu page, and a contact page. Check out their facebook page. 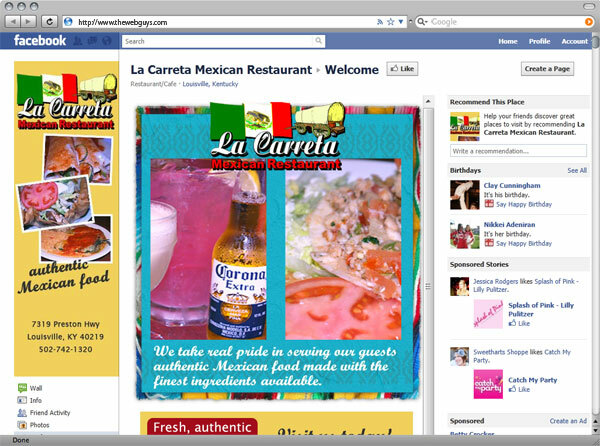 TWG was asked to create multiple custom facebook pages for La Carreta Mexican Restaurant to match the look of their new site design. The pages include a custom welcome page, a menu page, and a contact page. Check out their facebook page. 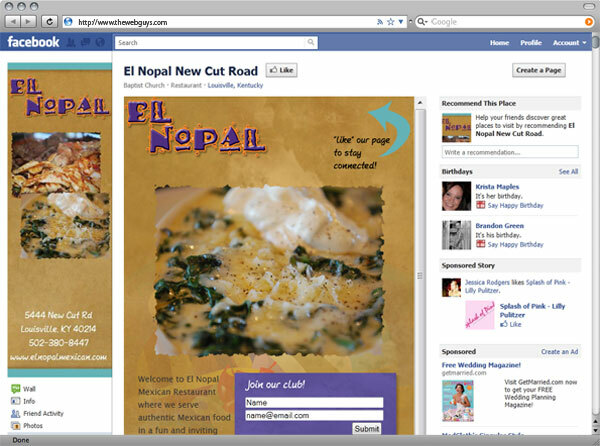 TWG was asked to create multiple custom facebook pages for El Nopal Mexican Restaurant to match the look of their new site design. 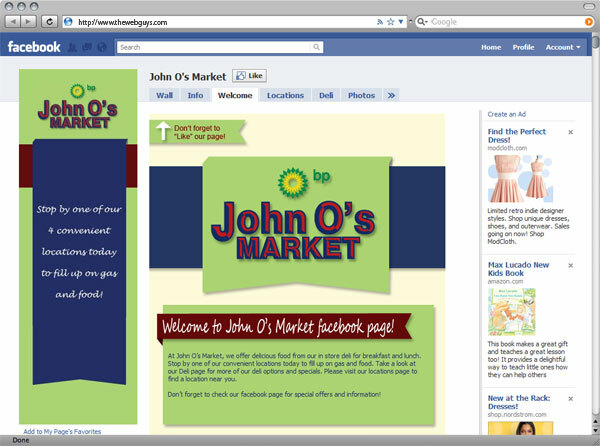 The pages include a custom welcome page, a menu page, and a contact page. Check out their facebook page. 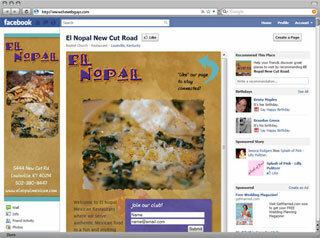 TWG was asked to create multiple custom facebook pages for El Nopal to match the look of their new site design. 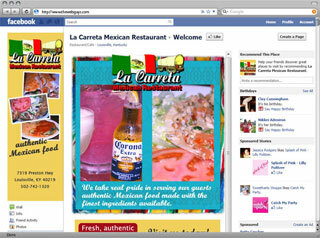 The pages include a custom welcome page, a menu page, and a contact page. Check out their facebook page. 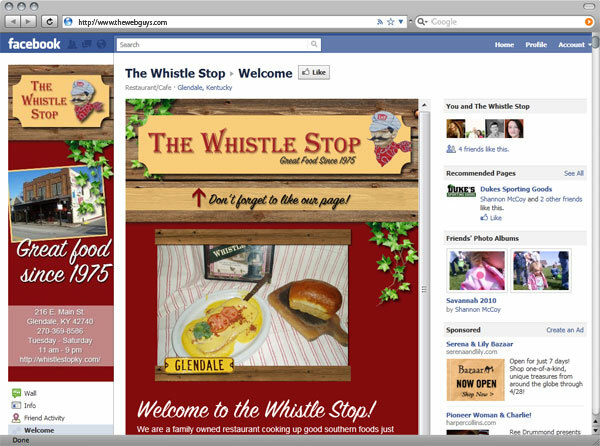 TWG was asked to create multiple custom facebook pages for The Whistle Stop to match the look of their new site design. The pages include a custom welcome page, a menu page, and a contact page. Check out their facebook page. TWG was asked to create multiple custom facebook pages for Theresa Weed to match the look of her new site design. The pages include a custom welcome page, a custom search page for listings, and a contact page. Check out their facebook page. 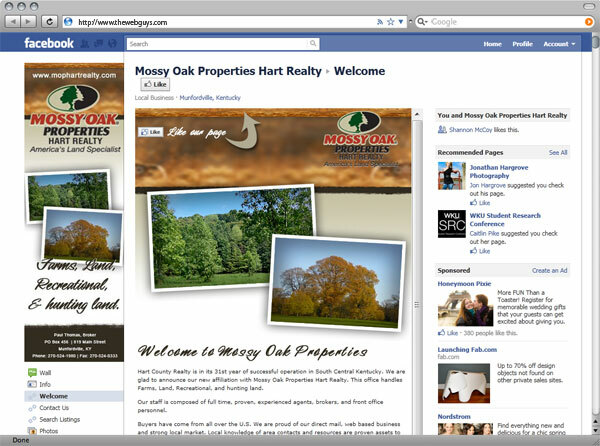 TWG was asked to create multiple custom facebook pages for Mossy Oak Properties. 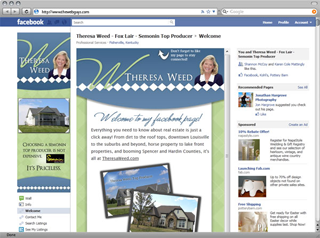 The pages include a custom welcome page, a custom search page for listings, and a contact page. Check out their facebook page. 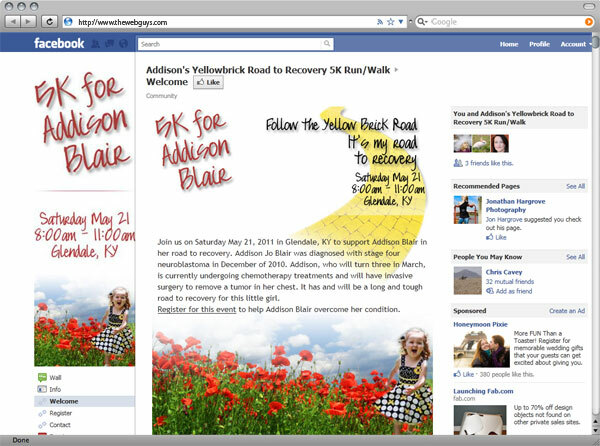 TWG was asked to create multiple custom facebook pages for the 5K Race for Addison Blair. The pages include a custom welcome page, a register page, and a contact page. Check out their facebook page. 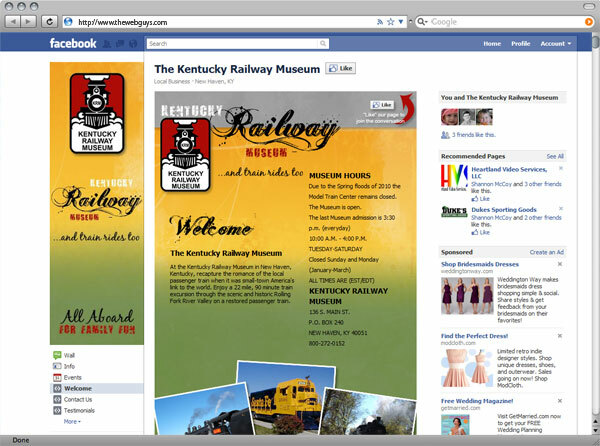 TWG was asked to create multiple custom facebook pages for The Kentucky Railway Museum to match the look of their new site design. The pages include a custom welcome page, a testimonials page, and a contact page. Check out their facebook page. TWG was asked to create multiple custom facebook pages for John O's Market. The pages include a custom welcome page, a locations page, and a deli page. Check out their facebook page. TWG was asked to create multiple custom facebook pages for the Swope Family of Dealerships. 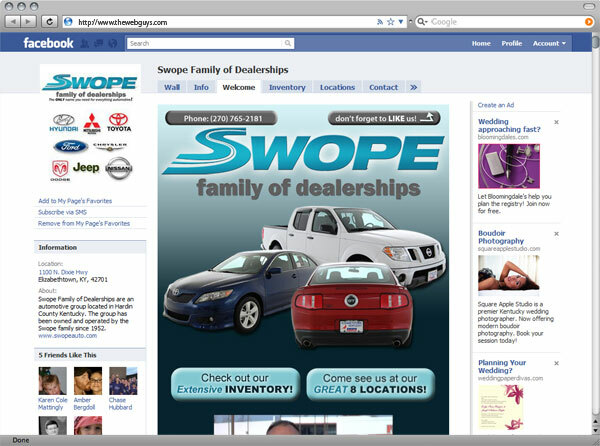 The pages include a custom welcome page for each location, a search inventory page which allows users to search the available inventory at each dealership, and a locations page. Check out their facebook page. TWG was asked to create a custom facebook banner that would match her brand and give her facebook page a more custom look. 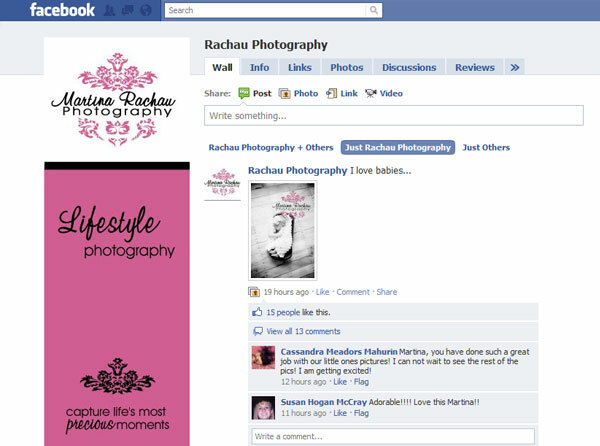 Visit Martina's facebook page to take a look! TWG was asked to create a custom facebook page that would match the brand of their website. Visit their facebook page to take a look!